Which series are doing the best? The worst? Wondering how your favorite TV shows are doing in the ratings? Here are the season average ratings of the 2013-14 network TV shows — through the end of week 40 (Sunday, June 29, 2014). ABC shows (so far): 20/20, 20/20 Saturday, America’s Funniest Home Videos, The Assets, The Bachelor, The Bachelorette, Back in the Game, Betrayal, Black Box, Castle, Celebrity Wife Swap, Dancing with the Stars, Extreme Weight Loss, The Goldbergs, The Great Christmas Light Fight, Grey’s Anatomy, Killer Women, Last Man Standing, Lucky 7, Marvel’s Agents of SHIELD, The Middle, Mind Games, Mistresses, Mixology, Modern Family, Motive, Nashville, The Neighbors, Nightline Prime, Once Upon a Time, Once Upon a Time in Wonderland, Primetime: What Would You Do?, Resurrection, Revenge, Rising Star, Rookie Blue, Scandal, Shark Tank, Super Fun Night, The Taste, Trophy Wife, and Wipeout. CBS shows (so far): 2 Broke Girls, 48 Hours, 60 Minutes, The Amazing Race, Bad Teacher, The Big Bang Theory, Blue Bloods, The Crazy Ones, Criminal Minds, CSI: Crime Scene Investigation, Elementary, Friends with Better Lives, The Good Wife, Hawaii Five-0, Hostages, How I Met Your Mother, Intelligence, The Mentalist, Mike & Molly, The Millers, Mom, NCIS, NCIS: Los Angeles, Person of Interest, Reckless, Survivor, Two and a Half Men, Undercover Boss, and We Are Men. CW shows (so far): The 100, Arrow, Beauty and the Beast, The Carrie Diaries, Famous in 12, Hart of Dixie, Nikita, The Originals, Reign, Supernatural, The Tomorrow People, The Vampire Diaries, and Whose Line Is It Anyway?. 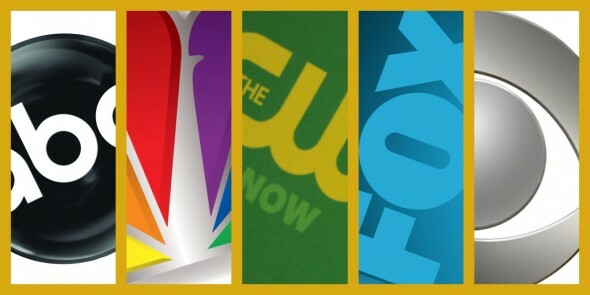 FOX shows (so far): 24: Live Another Day, Almost Human, American Dad!, American Idol, Bob’s Burgers, Bones, Brooklyn Nine-Nine, Cosmos: A Spacetime Odyssey, Dads, Enlisted, Family Guy, The Following, Gang Related, Glee, Hell’s Kitchen, I Wanna Marry “Harry”, Kitchen Nightmares, MasterChef, MasterChef Junior, The Mindy Project, New Girl, Rake, Raising Hope, Riot, The Simpsons, Sleepy Hollow, So You Think You Can Dance, Surviving Jack, and The X Factor. NBC shows (so far): About a Boy, America’s Got Talent, American Dream Builders, American Ninja Warrior, Believe, The Biggest Loser, The Blacklist, Chicago PD, Chicago Fire, Community, Crisis, Crossbones, Dateline, Dateline Saturday Night Mystery, Grimm, Growing Up Fisher, Hannibal, Hollywood Game Night, Ironside, Last Comic Standing, Law & Order: Special Victims Unit, The Michael J. Fox Show, The Night Shift, Parenthood, Parks and Recreation, Revolution, Sean Saves the World, The Sing-Off, Undateable, The Voice, and Welcome to the Family. I really love Surviving Jack. My family and I found a show we could all enjoy together. I think it is much too easy to just cancel a show then to give it a chance. I read the ratings and it was just starting to take off. I feel that with a little patience and some good advertising that Surviving Jack could really become a hit. I hope another network picks it up.